Of the 102 counties in the State of Illinois, Livingston County ranks 4th in geographical land size covering 1,043 square miles. The county is 36 miles at its widest point and 33 miles long at its longest point. Livingston County has 30 townships and 14 municipalities with a population of 39,678. The townships have 1600 miles of roads. Livingston County has 250 miles of county roads and 250 miles of State and Federal roads. In Livingston County, three municipalities have their own police agencies, those being Dwight, Fairbury, and Pontiac. The municipalities of Odell, Saunemin, Cullom, Chatsworth, Flanagan, Cornell, and Reading Township and Newtown Township contract through the Sheriff’s Office for patrol. 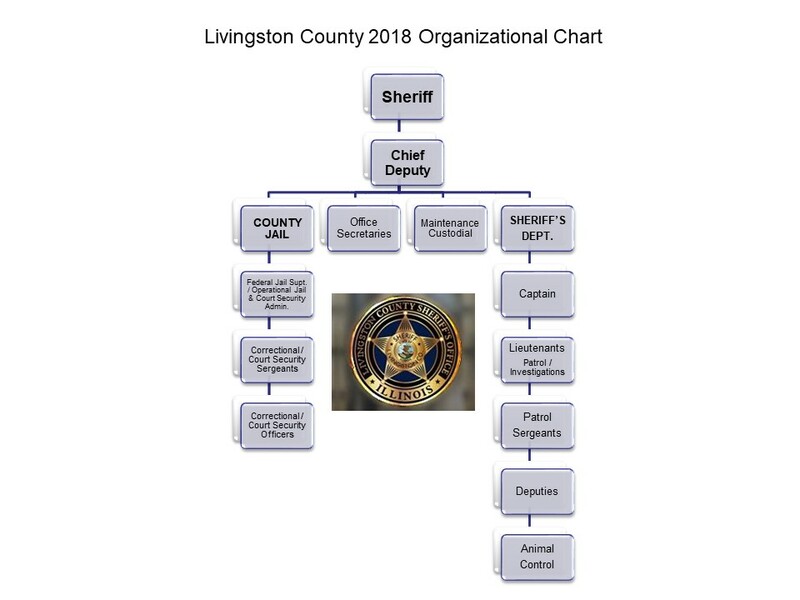 We are a full service Sheriff’s Office, offering a Patrol Division, Investigations, Civil Process, Court Security, 911 Communication Center, Jail with a rated capacity of 179 inmates.